Silky smooth and rounded, look for vanilla, honey and lemon cream spruced up with fresh pear and a flurry of spice fading into a long, ginger-spiked finish. Grande Champagne region. 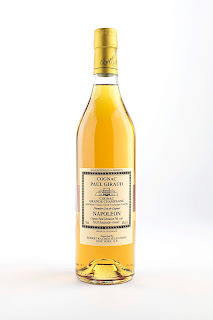 Rated 94/100 The Wine Enthusiast MagazineDuration And Aging Method: The Cognac Napoleon is aged for 15 years in 25% new oak barrels. 400L and 500L barrels. Medium toast, middle grain. The legal minimum is only 6 years.